BRIGHTON, Mich.- We've experienced a quick taste of the fall temperatures already and it's only a matter of time before the leaves start falling and the rain clouds come rolling in. So, it's time for a quick reminder on some Tips For Fall Driving & Tire Care to keep you safe this season! - Fallen leaves combined with wet roadways can make for slippery conditions as dangerous as ice so be aware of leaf covered roads. - When it's especially dry out, as it has been this year, hot mufflers, catalytic converters and exhaust sparks can set leaves on fire, so avoid parking over leaf piles. 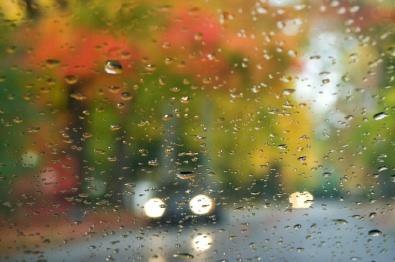 - Keep your windshield and wiper blades leaf-free to avoid streaking that will make it impossible to see. And as always when it rains, reduce your speed and avoid standing water. - Keep your peripheral vision on high alert to be aware of children playing in leaf piles and to spot deer before they enter the roadway. -All season tires are suitable for driving in the Fall. -Apply the Quarter Test to make sure your tires have sufficient tread. Put a quarter upside down in the grooves of your tires, the tread should cover George Washington's head. -Stop by Brighton Ford for a tire rotation or replacement, if needed. We offer Tire Rotation Coupons and Tire Discounts to save you money! It's that time of year again, we need to remind ourselves to exercise more caution when driving on roads that could be slippery or dangerous as the seasons change. 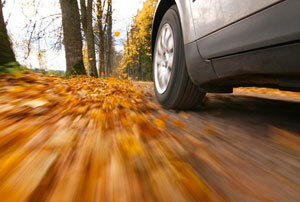 Keep these Tips For Fall Driving & Tire Care in mind throughout the Autumn season. Brighton Ford is located at 8240 Grand River Ave. just north of I-96 in Brighton. We are a family owned and operated business that strives on customer satisfaction. For more information on Brighton Ford visit BrightonFord.com or give us a call at (800)-836-8206. I guess the basics of taking care for car tires are : making sure tires have the proper inflation. Never overload. And change damaged tire.